Dress up your Southwestern outfit with this 4 piece Sterling Silver Ranger Buckle set by Southwest designer GL Miller. 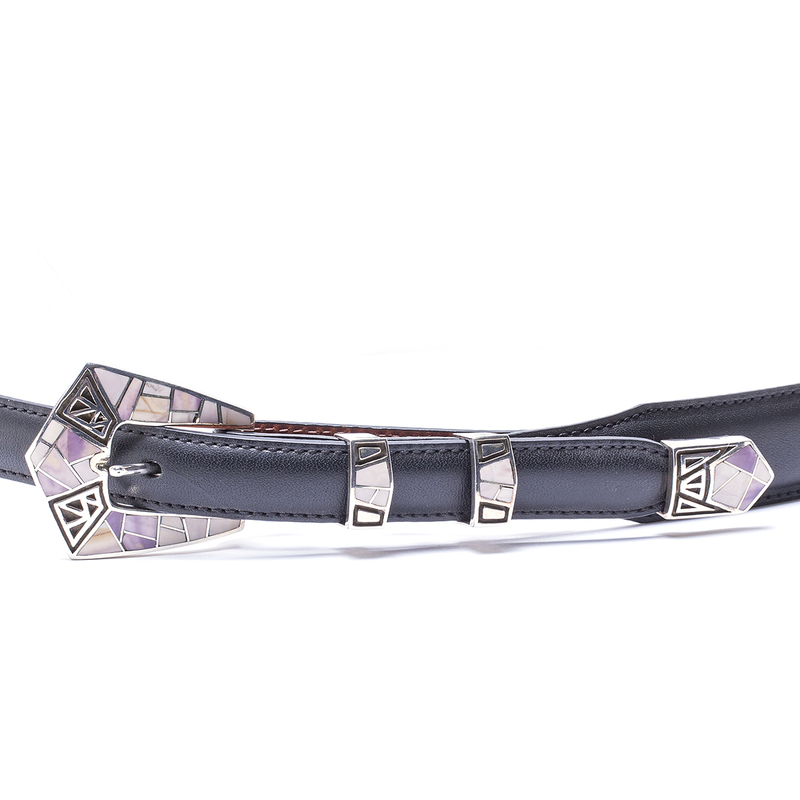 A perfect balance between contemporary and traditional, the muted purple shell is accented with oxidized geometric patterns. 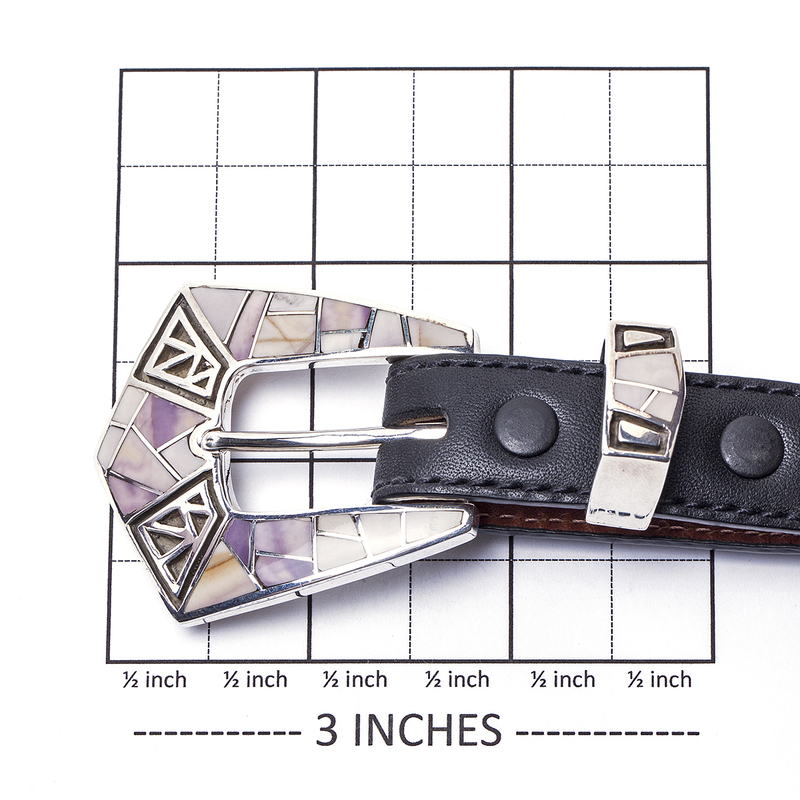 The set will fit a belt of any width that tapers to 11/16″ at the front. Leather belt shown is not included. Need a leather belt? We can help with that! 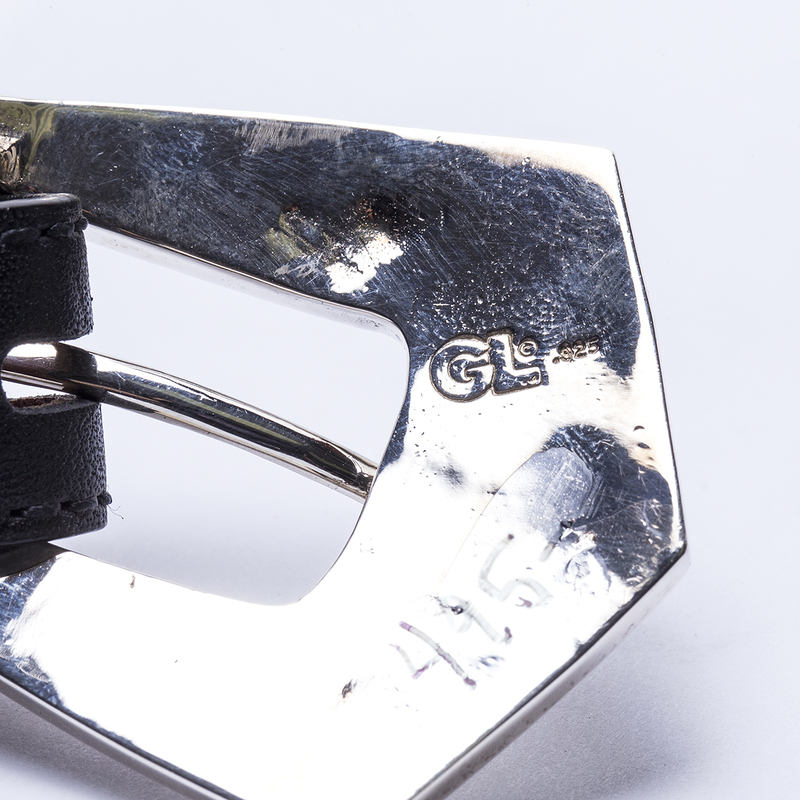 The buckle is hallmarked “GL” and “.925”. We offer free gift wrapping with each purchase – just ask! 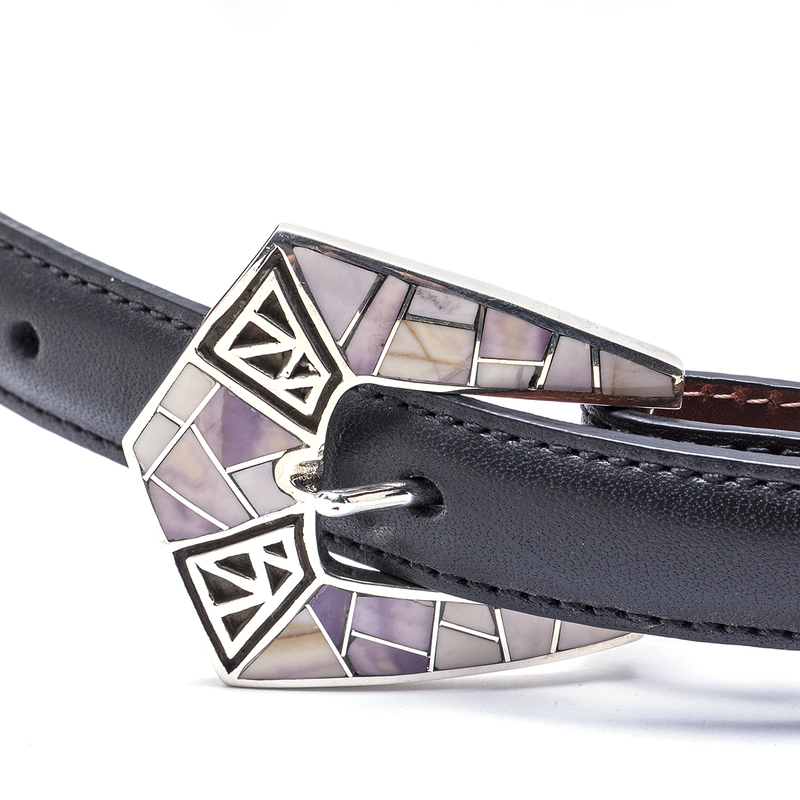 Southwest artist GL Miller 4 Piece Shell and Sterling Ranger Buckle showcases muted purple shell in a contemporary Sterling Silver inlaid ranger buckle.